P90X focuses on a variety of training sessions that makes this workout one of the most intense and effective one out there. The workout do aim to give you a ripped look in just 90 days, but women can get incredible fitness results from P90X workout without getting icky body-builder looks. Here is a detailed review of the program, so that you can decide if P90X workout is your preference. Most of the workouts aim to build big muscles and give you a ripped look, but usually women do not want these kinds of results. Plus they do not have the physical capability comparable to that of men. However, those who want to get lean and shed the fat must put their bodies to test and challenge them to replace the fat. Selecting a workout according to their needs therefore becomes harder for women. With P90X workout, women can cater the fitness routines according to their stamina and still get toned muscles that will replace the extra flab. It is a solid strength-training program that utilizes weights to cut down the stubborn fat it involves deposits in the problem areas. You will use weights in P90X workout to cut the fat but when women lift 20 to 30 lb of weights, they will end up looking like the body-builder. Therefore, using appropriate weights is essential. To test your physique, make sure that you start by lifting lighter ones and gradually start exerting your muscles to their limits by using higher numbers until you start to feel the burn. 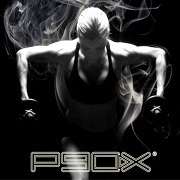 P90X workout includes a variety of moves to give you proper muscle confusion for results. By utilizing the routines according to your preferences, you can make the workouts easier. Take help from the resistance bands to support your P90X workouts. These bands will support your muscles when you are using dumbbells and use the bands for stretching purposes. 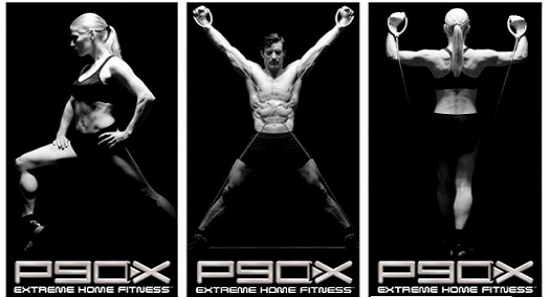 Moreover you can alternate between different routines by using P90X modifier. The modifier will help you make developments and advance your fitness to help you move up and do more reps.
P90X for women can get complete body toning results wanted by everyone, without bulking up. Remember that it is a fat loss program, instead of a weight loss, so women can also get great abs and get into athletic shape without getting the excessive muscles.